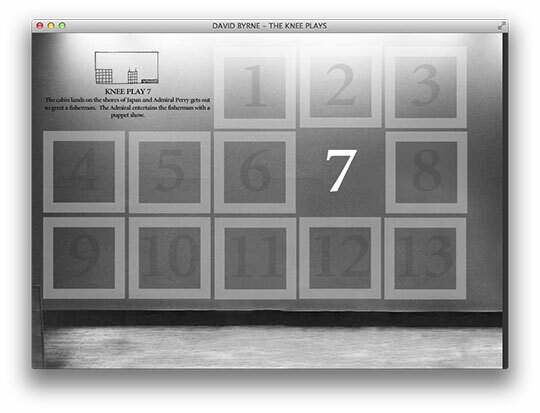 David Byrne's The Knee Plays was originally part of Robert Wilson's epic 1984 play CIVIL warS. 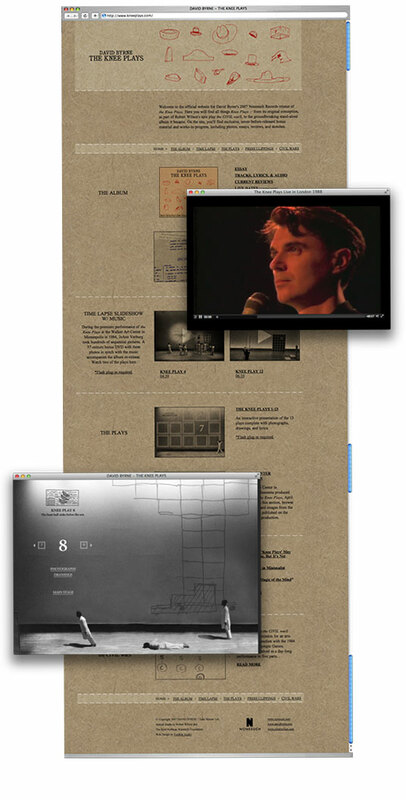 The website marks the release of the music and other ephemera from the making of The Knee Plays including essays, video performances, and production notes. 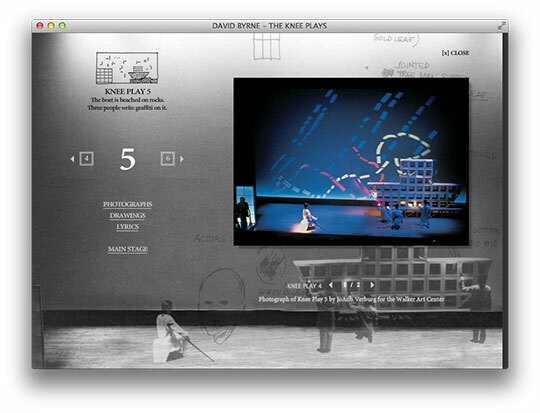 The highlight of the project was the recreation of a virtual stage that united photos and notes from each of the 13 Knee Plays. 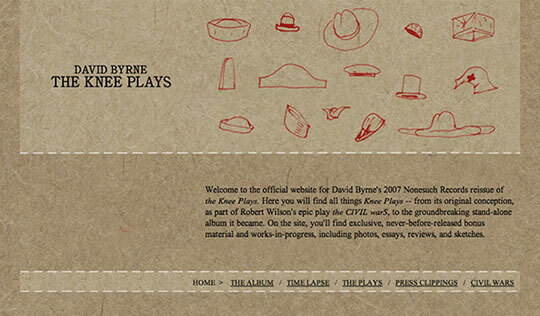 Music from the performance was subsequently release by Nonesuch Records in 2007.